Tasty Tuesday… My Garden | Who Are You Calling Crafty? So I have been laid up for the past couple weeks and this weekend I was finally feeling FANTASTIC. So I decided to borrow the neighbor’s tiller and till the garden. I will admit this is not the smartest thing I have ever done but my garden looks great. My friend Jamie (the one who gave me the six tomato plants) is going to give me 6 – 10 more for my garden later this week. 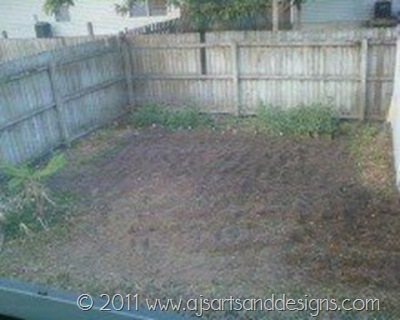 I am also going to plant some asparagus along the edge of it so it is like a border. I also plan on getting some sweet potatoes because my kids LOVE sweet potatoes! 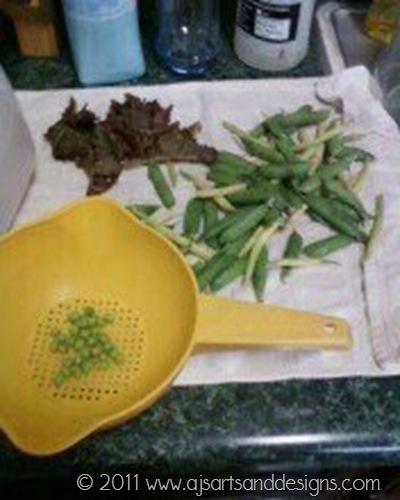 Another haul from the garden peas, beans and red leaf lettuce. I have sprouts on several pepper and zucchini plants. I am glad I did this even though I am paying for it dearly this week. I hope it will be worth it because all that work (and excoriating pain that I am currently enduring) better be worth it!